At Qualtrics, we noticed slim search results on how AI is beginning to affect market researchers, so we asked 250 research decision makers how they believe AI will impact the industry. Do they think machine learning in market research means that humans with knowledge are no longer useful, or will better tools accelerate the industry? One of the main reasons customer experience (CX) programs fail is because they were not designed with change and innovation in mind. In order for your CX program to successfully drive new value, periodically upgrading your program is essential. In this webinar, Luke Williams (Qualtrics) and special guest Dr. 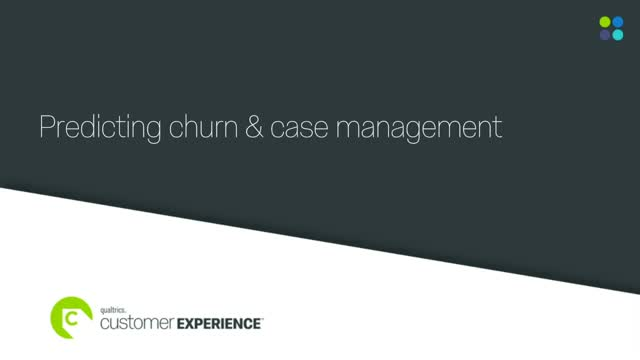 Troy Powell (Walker's VP of Customer Solutions) share their tips and tricks on bringing evolution to the CX Management lifecycle. 5 customer experience metrics you should be tracking: The traditional metrics we track are important, but we have to broaden our metric set to accommodate our new measurements and the financial metrics they predict. The progress and the problem with customer experience metrics: The customer experience movement has come a long, long way. We understand customers better than ever before, but we still struggle with linking data to predictable outcomes at scale. The discovery of the Wallet Allocation Rule and what it means: A simple mathematical discovery has unlocked the formulaic connection between traditional customer experience metrics and real financial outcomes with just simple adjustments to how we measure and think about customer experience. With experiences. The write-home, tell-everyone-you-know kind of experiences.